Wow. 200+ educators in one place to explore all things related to games and learning!! Thank you @gametolearnmb for organizing an incredible event! I wish I could be physically present to hang out with you all (y’all as we say, ’round here) and learn! Here is my presentation. PLEASE – The best thing you can do is connect to other educators who are passionate about the things you are passionate about! Let me help – reach out to me on Twitter – @lucasgillispie, and let’s make those connections! Thank you all for what you do for kids each day. YOU are SO VITAL!! 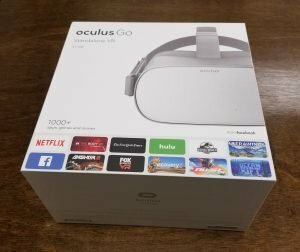 Yesterday, I wrote about my early impressions unboxing and using the new Oculus Go and considered the potential impact on K-12 education. Today I had the opportunity to take some students into VR with the Oculus Go. As part of a science lesson with science teacher, @JudeaTarn, we took students on roller coaster rides. Originally, we’d planned on using the HTC Vive exclusively, but I thought this was a great opportunity to put the Oculus Go into students’ hands and let them give some feedback. This also allowed more students to have access to experiences at the same time, allowing time for each student to ride the coaster. The feedback was 100% positive! We used the EPIC Roller Coaster app, a moderately realistic experience (this is mobile VR, after all). After an exciting ride on a rusty mine cart or on a tour of a dinosaur-style theme park, you have a great opportunity to chat about forces and motion. After providing roughly 20-30 students through three headsets, around 45 minutes to an hour of solid use, each showed about 66% battery remaining. Schools using these at any scale will want to invest in some power strips to keep them charged! 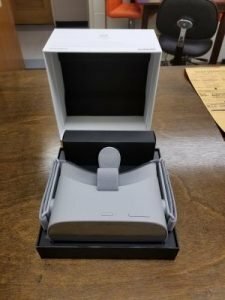 Again, still giving the Oculus Go a thumbs up for K-12 use. I should get commission from Oculus/Facebook, too. I imagine I sold a few future Christmas presents today, too. 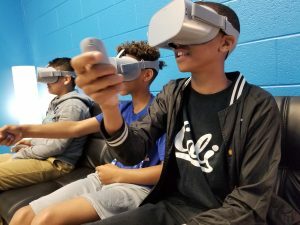 Oculus Go – A Practical VR Solution for K-12 Education? 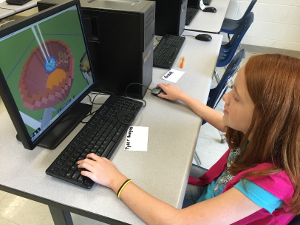 I’ve been exploring Virtual Reality and its applications for K-12 Learning for many years now. 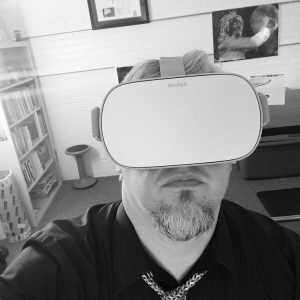 Inspired by a passion for games and learning alongside visions of exploring the moons of Jupiter or Tut’s tomb as imagined by Earnest Cline in Ready Player One, I’ve been playing in this space since the Oculus DK1 was available to developers. Today, I’m supporting three HTC Vives, two Oculus Rifts, and a PSVR in schools across my district. Each comes with its own strengths and weaknesses. The major strength of high-end, computer-driven VR is the level immersion afforded by the experiences and six-degrees-of-freedom (6DOF) VR. Great experiences are driven by powerful computers and graphics cards and the ability of the system to detect the position of the headset and hands in the rendered three dimensional space. An obvious drawback for K-12 implementation is the expense associated with the hardware ($399 for the Oculus Rift and $499 for the HTC Vive) and the cost of a computer to support it (easily $1000+). On top of this, one… -ONE- student can be immersed in the experience at a time. That’s not to say they’re not worthwhile investments. A secondary display and a centers-based approach can make them work in the hands of a creative teacher. 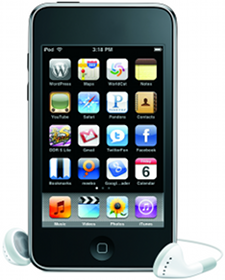 Several schools in my district have explored phone-based VR using a variety of headsets and devices like the iPod Touch. Here, you’re still looking at a $200+ investment for the iPod Touch (which is a versatile device outside of VR applications) and whatever headsets you choose. VR isn’t the primary function of any these sorts of devices and experiences vary widely. Many districts are exploring Google Expeditions sets, too. Though sold with education in mind, prices can range from over $3000 (for ten students) to over $9000 (for 30 students). The device is well-packaged and seems solidly designed. It’s at least as comfortable as any other VR headset I’ve used (Vive, Rift, PSVR, GearVR…), though the PSVR might be just a bit more comfortable for me, personally. The visuals are great. The view is actually just a but better than the Rift. No obvious screen door effect. Less “god rays” caused by the lenses. The controller works fine, feels great, and is very responsive. The user interface is beautiful and incredibly intuitive. Turn it on and you’re in… in seconds. Supports some Bluetooth game controllers. Headphone jack on the side! Eye glasses spacer is included. There are 1000’s of experiences already available. Many are categorized as educational. The battery life is short. Reports are two, solid hours, so it’ll need to be put back on charge between uses. Three degrees of freedom – This limits some of the capabilities of the VR as only head motion (rotation, not position) is tracked. No Bluetooth headphone support (at this time). Reports are that lenses are prone to scratching and sunlight damage. This would be something to watch in classroom implementations. No native YouTube app… yet. No enterprise management solution that I’m aware of…. yet. From a district-level perspective, whenever I consider the deployment of any device at any sort of scale, I wonder about account and content management. Can I have multiple devices registered to a single account? How does content work with multiple devices, especially paid content? Where are the apps/experiences that allow students to CREATE? 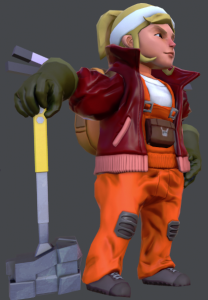 There are some out there for modeling and painting and I’ll be testing those out. Those are the things I’ll be exploring next. This device really shines as a content consumption device. The tight integration/association will probably give some schools/districts pause, but I believe there are workarounds. There’s a solid selection of VR content in the Oculus Store that would be great in classrooms. Aside from the obvious 360 degree video, there are several offerings that are clearly designed with education in mind – The Body VR, Titans of Space, etc. With those points in mind, my early recommendation is to give this a definite thumbs up for small-scale deployments (a few devices at a school) and a “maybe” for anything larger. I think the Oculus Go is potentially going to bring many more people into VR and that will only drive advancements! It is certainly a device I’ll be recommending to my schools who want to add VR technology to support student learning. I want to be Ms. Frizzle when I grow up. 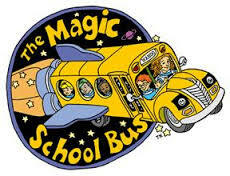 When I think about the ideal classroom, the Magic School Bus quickly comes to mind. This show (which is getting a reboot soon on Netflix) is what good learning is all about. Seriously! Can you imagine being able to take your students literally anywhere, any time, to do, just about anything? Learning should spark a sense of wonder. The experiences we create and share with our students should be the first spark that spurs them to want to dig deeper and explore more. Nearly three years ago, I wrote about some early experiences with the Oculus Developer Kit. I was immediately struck by the possibilities. Fast-forward to today, I’m excited to share that we’re making it happen! 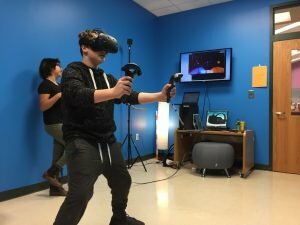 Through a partnership with foundry10.org, we’ve launched our first VR Space in Surry County Schools at Meadowview Magnet Middle. 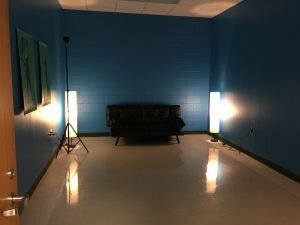 Getting started with VR in schools doesn’t require a dedicated space, however, as part of library makeover, we wanted to create a space that kids would beg to be in. What once was a dusty book storage room has been transformed into a state-of-the-art space where we, like Ms. Frizzle, can take our students anywhere! Part of the challenge has been educating our teachers and administrators about the technology. VR is hot stuff these days and there’s a wide-range of gear. Some schools are starting to explore the possibilities with phone-based VR using tools like Google Expeditions. 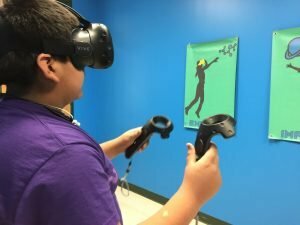 This is a great way to bring VR experiences to many students at once, however, the experiences lack the immersive quality of high-end computer-driven VR like you might experience with the Oculus or HTC Vive. Thanks to foundry10, our space utilizes the Vive. The Vive takes VR a step further in that it allows for what’s been dubbed room-scale VR. Simply stated, this means you’re not confined to a chair for your experience, but can actually move about the room while immersed in a VR experience. Take a step forward in the room and you move forward in the virtual world you’re exploring. And, don’t worry. A virtual grid materializes in front of you if you get too close to a wall. We started with hands-on experiences for our teachers. Simply having a great first experience seems to spark teachers’ imagination for the possibilities. Our Lead Digital Learning and Media Innovation Facilitator, Alicia Ray, has been working closely with Meadowview teachers to match the growing variety of VR experiences to the curricula they teach. From there, teachers are scheduling times to bring their students into the media center (another bonus) to rotate through selected experiences. There’s an exciting variety of explorations our students are trying, too. Our social studies students have been exploring the world with Google Earth VR, stepping inside the Roman Coliseum or walking the streets of London. Our science students can travel through the body’s circulatory system or deeper, still, into individual cells. Likewise, we can take them scuba diving for an encounter with a Blue Whale in Wevr’s the Blu. We’ve explored Saturn’s rings in Titans of Space and we’re soon hoping to let students build their own unique worlds with Vivecraft (a VR-ready Minecraft mod) and physics simulator, Modbox! The exciting thing? We’re just seeing the beginnings of what’s possible. Perhaps I’ll be Ms. Frizzle after all. If you’d like to know more about the resources we’re putting together for high-end VR in schools, check out the VR Page on the SCS Digital Learning Wiki. 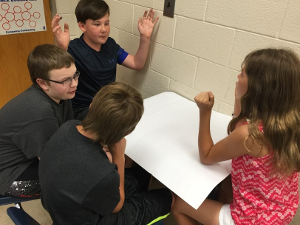 Last week, I had the honor of spending four full days with a group of talented and highly-energetic middle schoolers during the the Surry County Schools annual STEM Camp. My camp, in particular, was Game Design in Minecraft. Throughout the week, using Minecraft as our platform, we worked through a design process to create an original game, built on a shared server. All of the submissions were equally creative. From there, teams were tasked with developing a title and some basic story elements they wished to include in their game. One group’s theme revolved around surviving a zombie apocalypse, another tasked you with finding a lost pig. Once again, Minecraft’s flexibility really enabled students to unleash their imaginations and creativity. Following this step, teams mapped out their overall design plans, labelling traps, puzzles, landscaping elements, and other challenges. At this point, teams pitched their ideas to me for feedback. 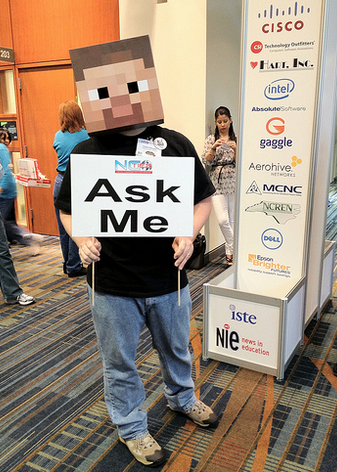 Much of this dealt with the technical possibilities and limitations of MinecraftEDU. After approval, teams logged into our shared server, selected a site for their game, marked off the borders with colored wool and signs and began building. By far, this step was the most time consuming and most enjoyed by the student-designers. The week concluded with a live walkthrough of the game facilitated by each team and ultimately a ceremony to distribute an official (physical) badge for their work with certificates. Our last treat was a live chat with game developers at 1st Playable Productions. The 1st Playable team shared their path leading to careers in game design, games they’ve worked on, and challenges they faced along the way. Our student designers asked incredible questions along the way. The design studio concept and the emphasis on team development. 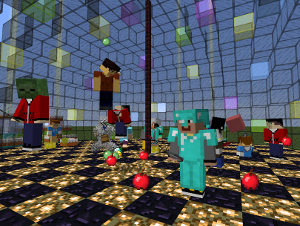 MinecraftEDU. The management aspects available to the teacher were invaluable. Rezzly (3DGameLab) – All of the challenges (lessons?) were framed as quests. Each one unlocking the next. XP, ranks, and badges provided fun incentives outside of Minecraft play. Taking breaks. 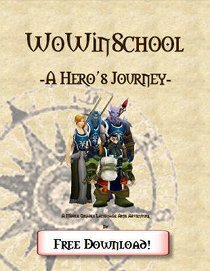 – We periodically took breaks from our design work to work on collaborative, team-based quests in a Survival Mode server. Spaced mid-way during the morning and afternoon design work provided fantastic brain breaks. Getting feedback from students. What did you like? What did you not like? What would YOU change? Music during design time. They love to sing while working. Students didn’t actually get into Minecraft until the end of the first day. That’s tough. It’s hard for them to focus entirely on writing/drawing related to something they simply want to be playing. Breaking the early design work up with some play and possible ways to do some of the prototyping within Minecraft might help. Reminding players not to set off traps when exploring other teams’ builds. 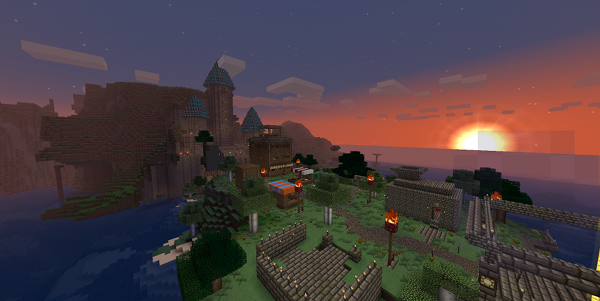 Despite front-loading, some players simply can’t seem to help themselves when it comes to respecting others’ space and things in Minecraft. They are accustomed to simply taking/using what they see and then arguing about it if there’s a conflict. The solution? Next time I’ll spread the teams out in the survival world. I’m really looking forward to building on this first year prepping for next year’s camp. Three weeks ago, I launched the SCS EPIC Academy pilot with a group of educators in Surry County Schools. 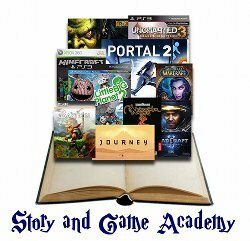 In case you missed my last post on EPIC Academy, it’s a fully-online, game-inspired, approach to professional development. Through a quest-based learning approach, teachers and administrators can select challenges that interest them, complete them in at a pace that’s right for them, and explore these topics to a depth of their choosing. 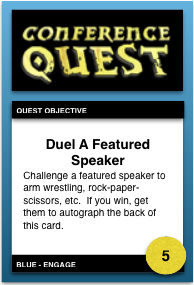 Follow a quest chain to its culminating “Epic Quest” and you’ll unlock an official SCS Badge. That’s the elevator speech version, anyway. Submitted 201 quest ratings (for an average rating of 4/5 stars). Shared 681 educational resources via Pinterest. Discovered one ninja and her secret quest chain! 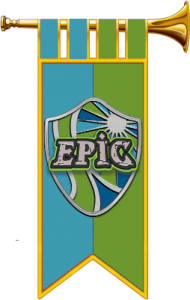 Unlocked 2 official SCS EPIC Academy Badges! Considering the seductiveness of autonomy in gaming is a new thought process for me. What would it be like to set parameters and then allow students to chose a series of experiences to “test” their abilities? I am also drawn to the idea that children need to experience (really feel) success before they will be motivated to keep reaching for it. If you have never had chocolate….then you do not crave it and certainly will not walk on the treadmill to earn yourself a Hershey bar. If kids never feel academic success, then how will they know what they are striving to attain. Quick, easy success early on in acquiring a new skill could lead for more applied interest. How will students learn to grow and change if they don’t learn to fail first? I couldn’t help but think of when I used to play Mario as a kid. I remember I would get so angry if I didn’t get past Bowzer to rescue the Princess. I would take note on what I did wrong, fix it, and finally rescue the Princess! Of course after hours of playing, I would get bored and voila! I would find a secret tunnel that would lead to another land and find a few hidden treasures along the way. If we give kids something to work towards through gaming, mixing math, science, etc. along the way and let them know that failing is okay, they would be more willing to do their best. I would have to say the same for teacher’s professional development. To say I am proud to be working alongside such professionals would be an understatement. So, what else is going on? I am encouraging players to set personal goals for themselves this week and gave them some examples: “I’m going to reach 300XP by week’s end.” “I’m going to unlock my first badge this week.” “I’m going to write a new blog post tonight.” I’ve also challenged them to explore ways that we can use 3DGameLab’s newest feature, Teams. Personally, I keep going back to Hogwarts, there. 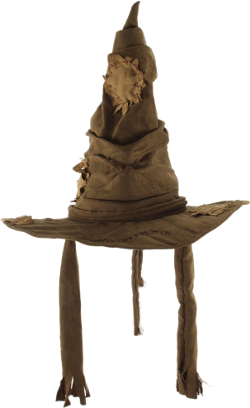 I just need a sorting hat. Lastly, the secret quest series. To date, one player, iluveducating, has discovered the ninja, and has embarked on her quest to find the three hidden keys. As a “game designer” (yes, air quotes, there… term used very loosely), I’m torn between dropping serious hints, and simply letting it unfold over time. I’m leaning toward the latter, though it’s taking self-discipline! 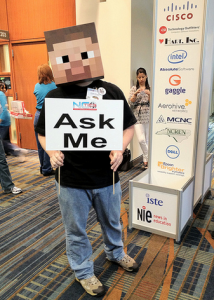 In March, I’ll be presenting the pilot for the first time to our Board of Education and will also be doing a session at NCTIES 2015! Stay tuned!